Jürgen Klimke is CEO & Co-Owner of Industrie-Contact. His main jobs are running the agency as well as corporate communications consulting. Jürgen joined Industrie-Contact (IC) in 1984 and focused on the expansion of the German clientele. In 1988, the growth initiated by him led to the agency’s move to larger premises, today’s offices in Hamburg-Bahrenfeld. In the 1990s, he divided up the German business with his business partner Uwe Schmidt. 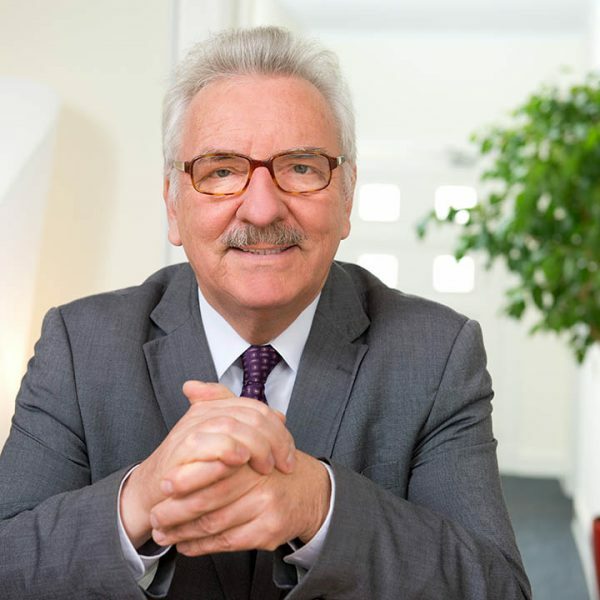 Since 2002, Jürgen, who is a member of the CDU, has been elected as a member of the German Bundestag where he focuses on development cooperation, foreign policy (especially South and Southeast Asia), the OSCE, economic development and the development of the greater Elbe region. In addition to his work as a member of parliament, he continues to support IC with advice and guidance. Thanks to modern communication technologies, this is not a problem for the full-blown PR professional, despite his many foreign travels. His favourite topic is corporate social responsibility (CSR). To Jürgen, the greatest challenge for businesses today is the rapidly evolving media landscape, where print, online, TV and radio enable more and more exciting cross-media approaches. Here, many companies continue to think too compartmentalised. Especially small and medium sized enterprises (SME) have catching up to do. Jürgen is convinced that PR continues to be the better advertising. Not for nothing, advertisers and digital agencies are now pushing into the domain of PR: the editorial space. Content marketing and native advertising are, in the end, just a camouflage for the fact that the goal of the communications industry is the editorial contribution. The PR industry should therefore always pay attention not to let other disciplines get the better of them. PR also raises a journalistic claim: Jürgen emphasizes that the goal of communications cannot be a more or less badly disguised product placement. The media are the 4th power in society and should remain impartial. Fake news or alternative facts are not the right way to communicate. Content should mean “content” in its original sense. To remember this continues to be the best path to excellent publications in daily, business and other media. A good PR agency loves good content and “retrieves” it from their customers if necessary. Jürgen is married to Susanne. They have four grown-up children. One of them, Jonathan, works for Industrie-Contact as Associate Director. At home, Jürgen loves to cook for his family or even for the whole agency, especially good traditional Northern German fare cuisine.